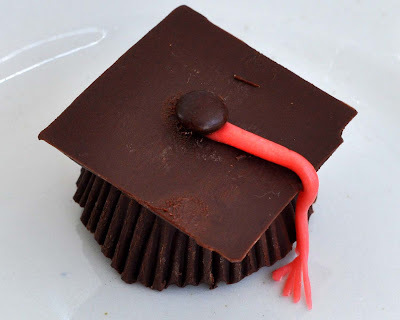 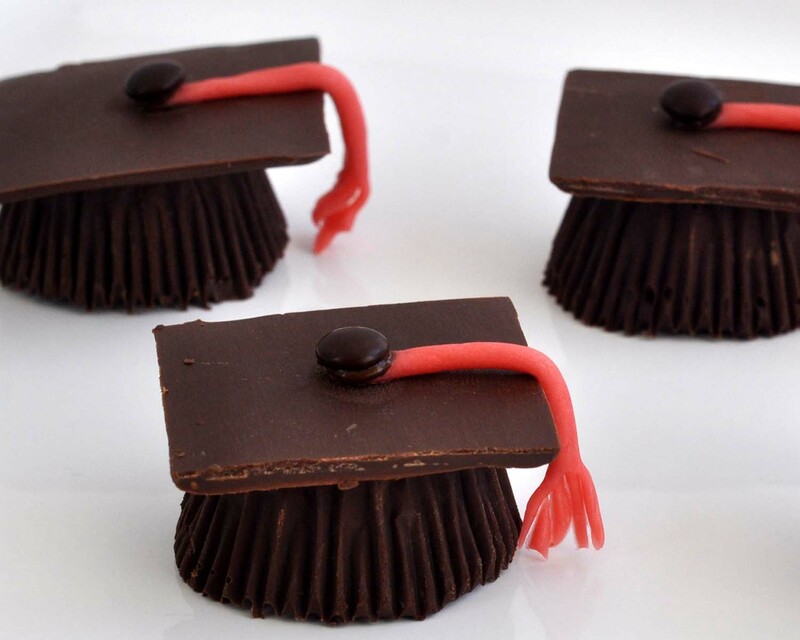 These easy candies make a cute little treat for any graduate - Preschool graduates included. 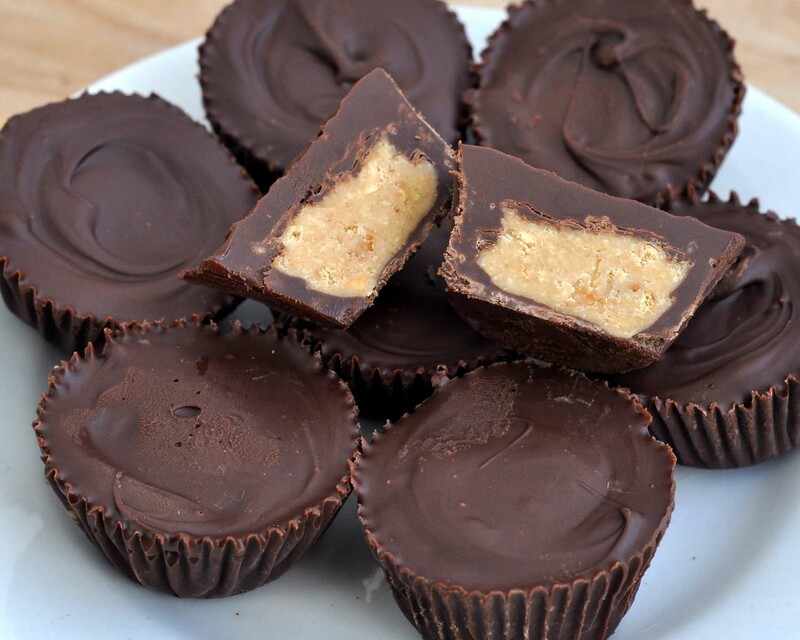 I made them with a batch of my Homemade Peanut Butter Cups and some chocolate squares. For the homemade peanut butter cups, follow the instructions on the Peanut Butter Cup Tutorial. 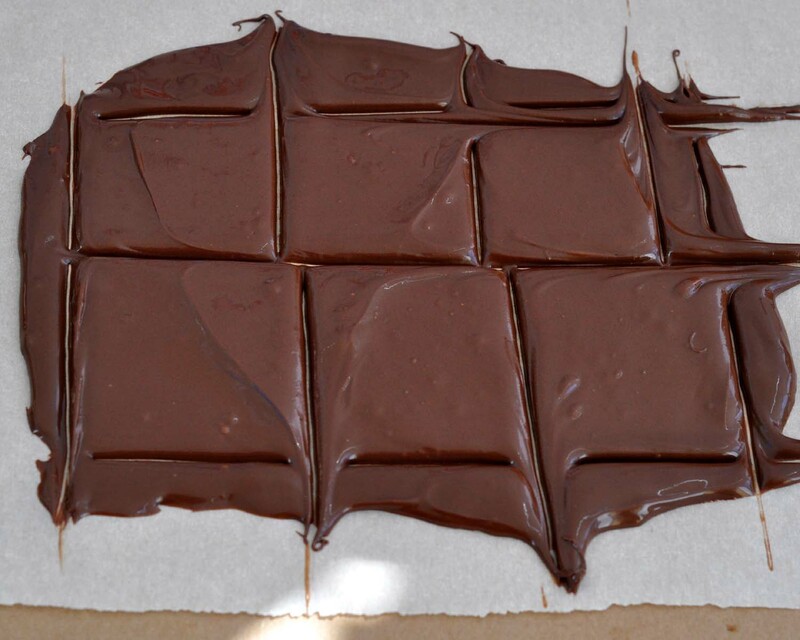 Then you can make the chocolate squares. 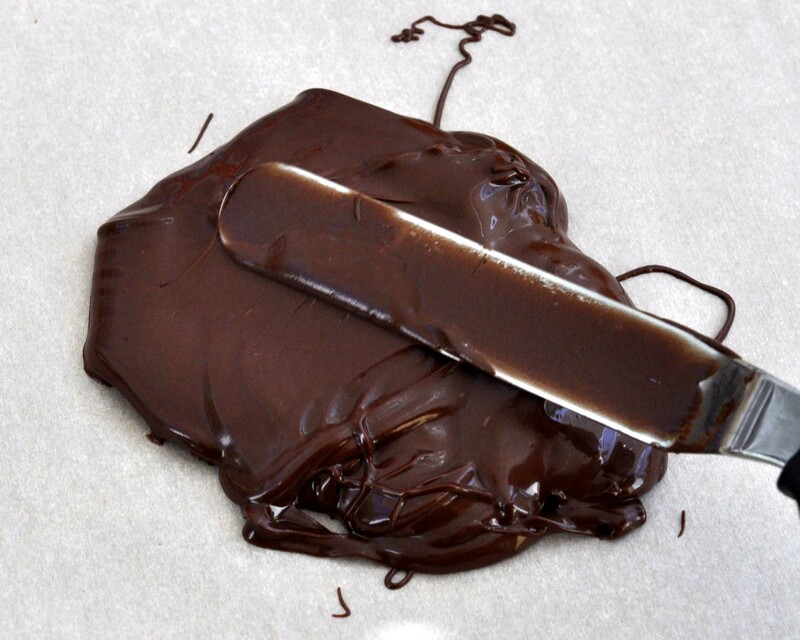 Spread the chocolate to about 1/4-1/8" thick on a piece of parchment paper on a flat cookie sheet. 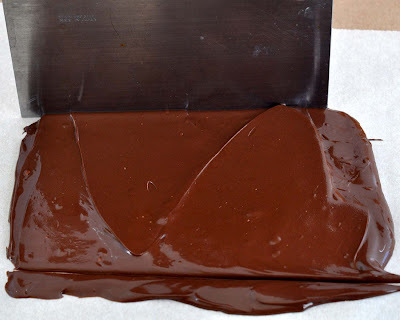 Place the chocolate into the refrigerator to set. 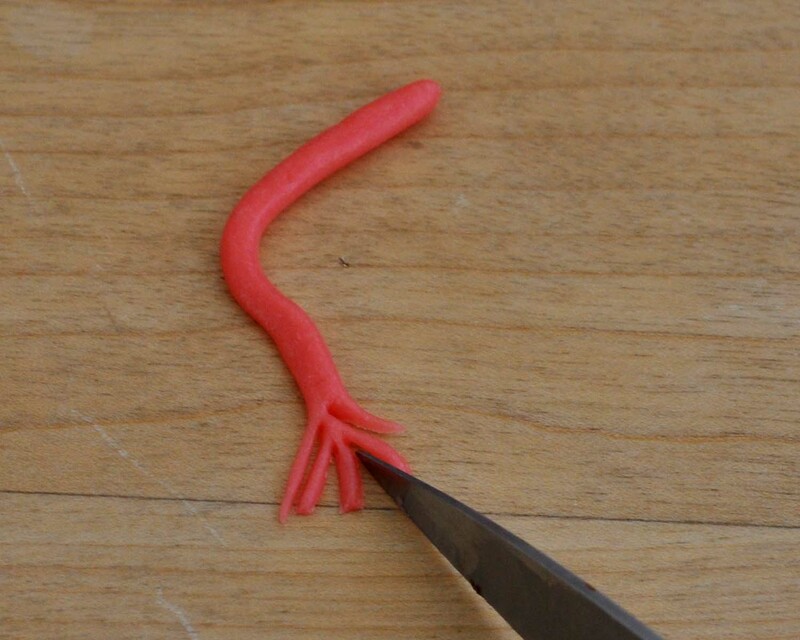 Use some extra melted chocolate, and a food-safe paintbrush to "glue" the pieces together. 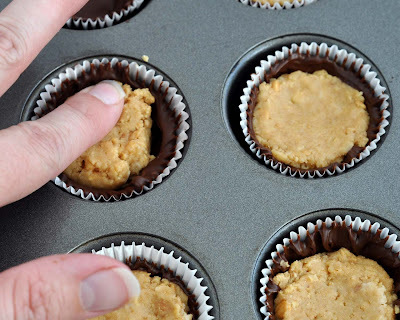 Place a mini M&M on the very top (again using melted chocolate as glue).